Simple recipe for Homemade hotdog bread. Homemade hotdog bread is just way more delicious compared to bread from the supermarked. Hotdogs are just a fantastic invention! It is not a traditional Nordic dish but it is still very popular especially for barbecue parties and other special events like birthdays parties and so on. The origin for hotdogs are apparently Germany even though I thought it was the US. 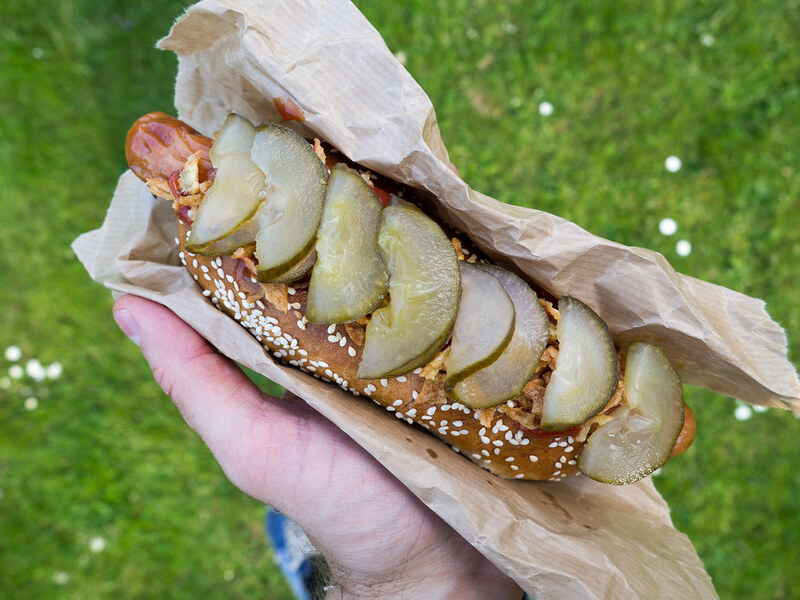 However, today hotdogs are super popular in the hole world and therefore also in Denmark and the other Nordic countries. 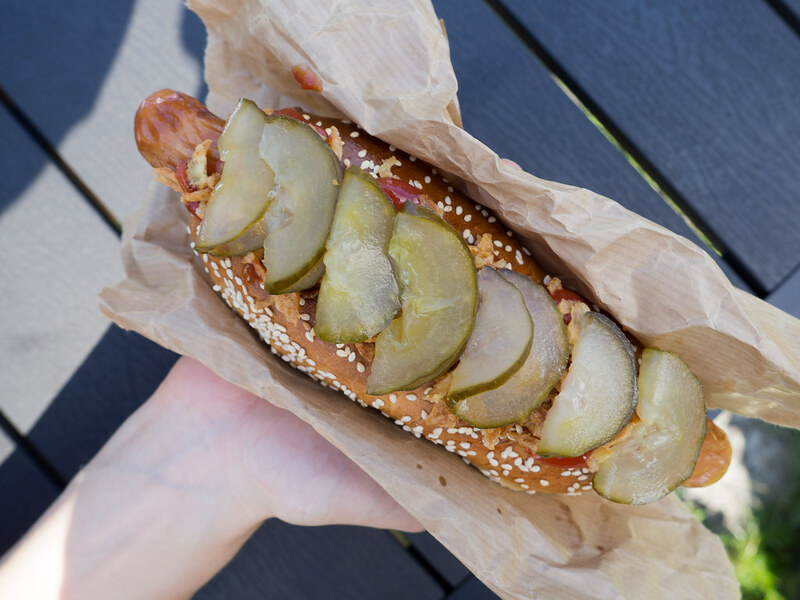 What is better than a freshly prepared hotdog directly from the grill – it is of course a homemade hotdog freshly from the grill. The recipe I have listed further down this page is describing how you can make some super delicious homemade hotdog bread. It might sound like a lot of wasted time making your own homemade hotdog bread but that is not the truth if you ask me. Homemade hotdog bread is actually very easy to make yourself it only requires a few and simple ingredients. Hotdog bread is basically just based on a nice and smooth flour dough with butter and milk. 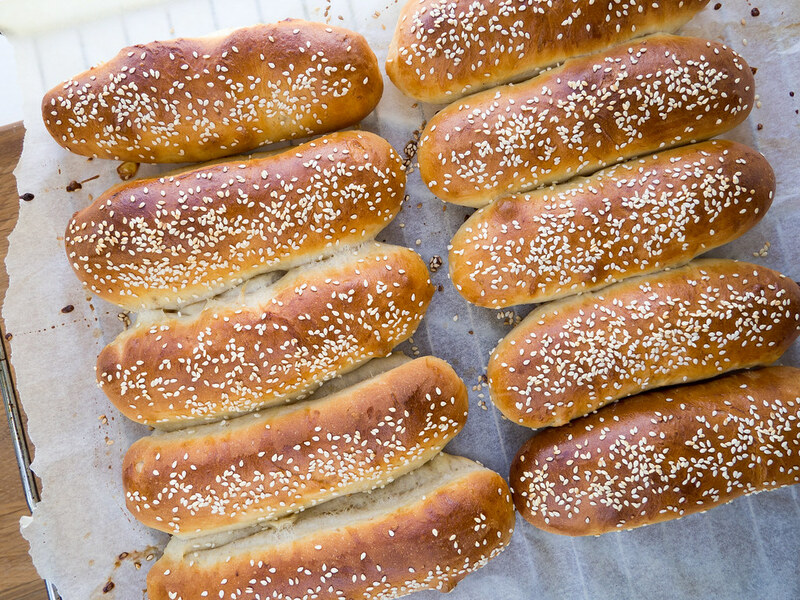 I typically make the simple and traditional hotdog bread with all-purpose flour. However, if you are looking for some more filling and a bit healthier bread you can easily substitute about 1/4 of the traditional flour with a whole-wheat flour, which has a higher amount of dietary fiber. Whole-wheat flour gives the bread a bit more texture and a more filling effect. 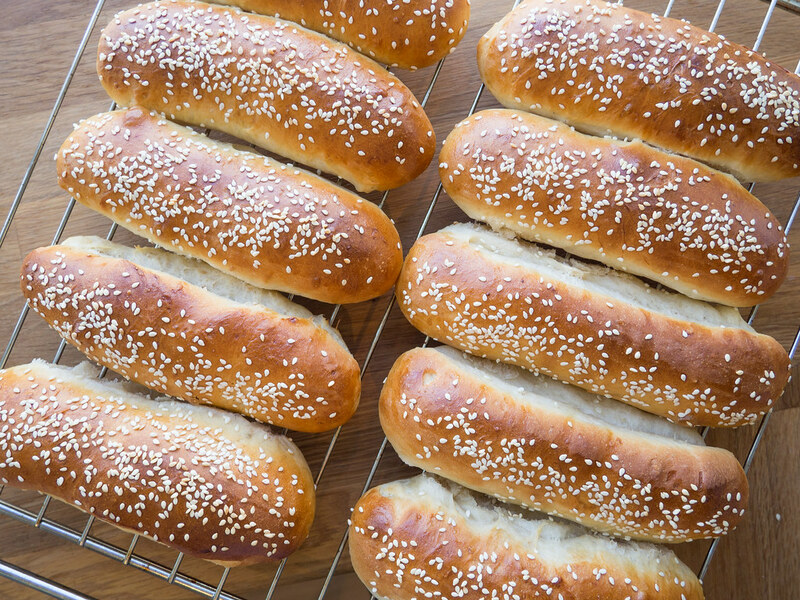 Besides being relatively simple to make, these homemade hotdog breads are also very delicious and much better compared to the factory and uniform produced bread you can purchase at the supermarket. These hotdog breads are nice and airy on the inside while crisp and golden on the outside. In addition, these homemade breads have a homemade-look, which is one of the great things of making your only food. A hotdog made with a homemade bread just taste better! 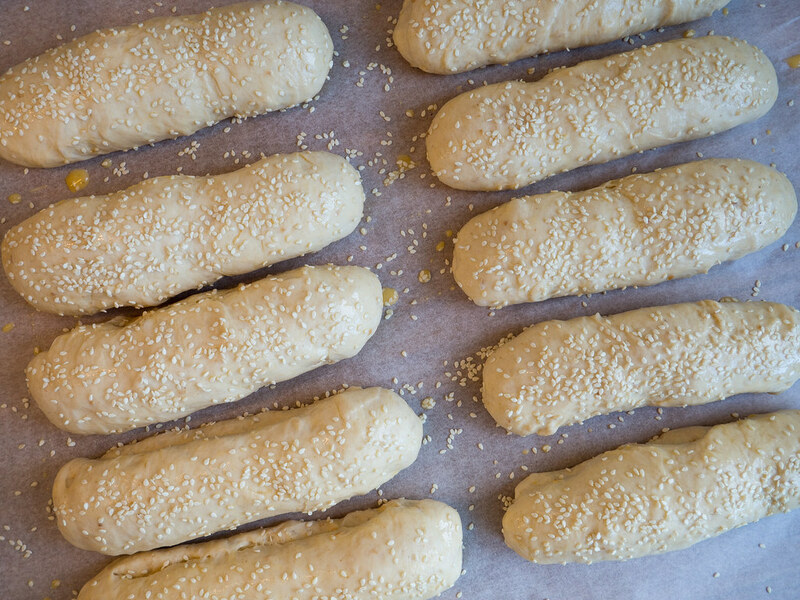 As mentioned above, it is relatively easy to make your own and homemade hotdog bread. In a large bowl, you start by dissolving some fresh yeast. You can also use dry yeast just add this to you flour instead. Assemble the dough with the flour, sugar and salt. 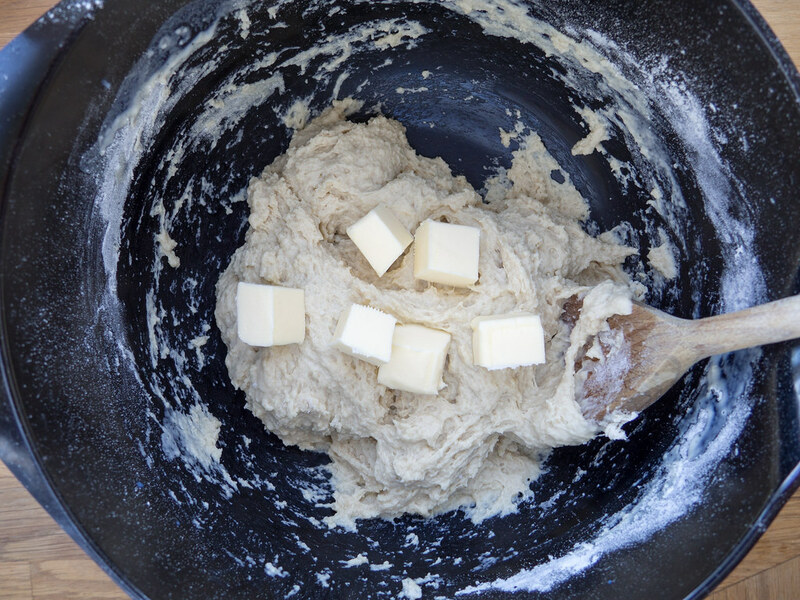 Add the cold and diced butter and knead the dough for about 5-7 minutes. 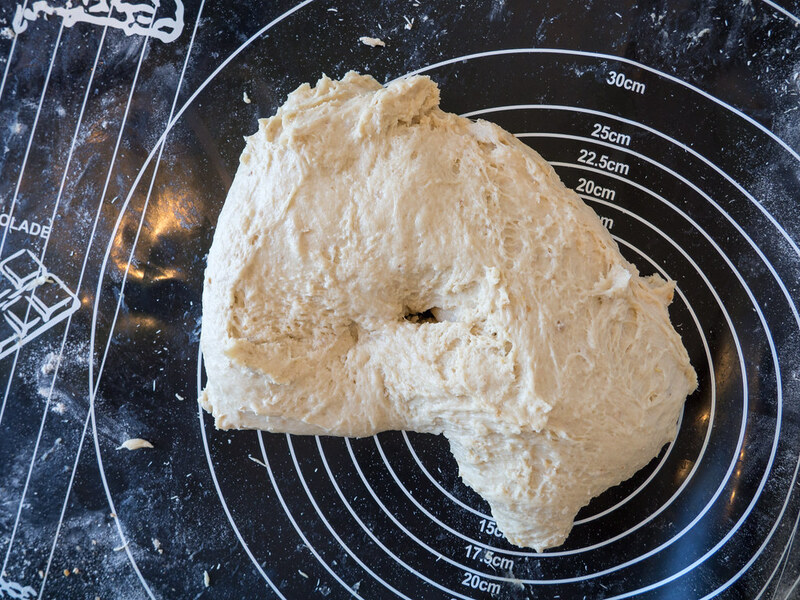 Set the dough aside and let it rise for about 40 minutes. 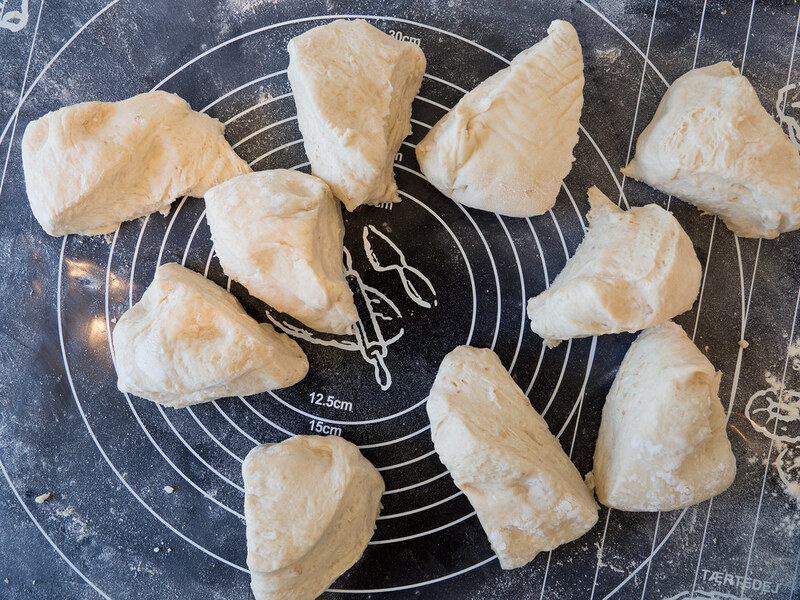 Now divide the dough into 10 pieces and flatten each of them in rectangular pieces with a length of about 10 cm (4 inch). 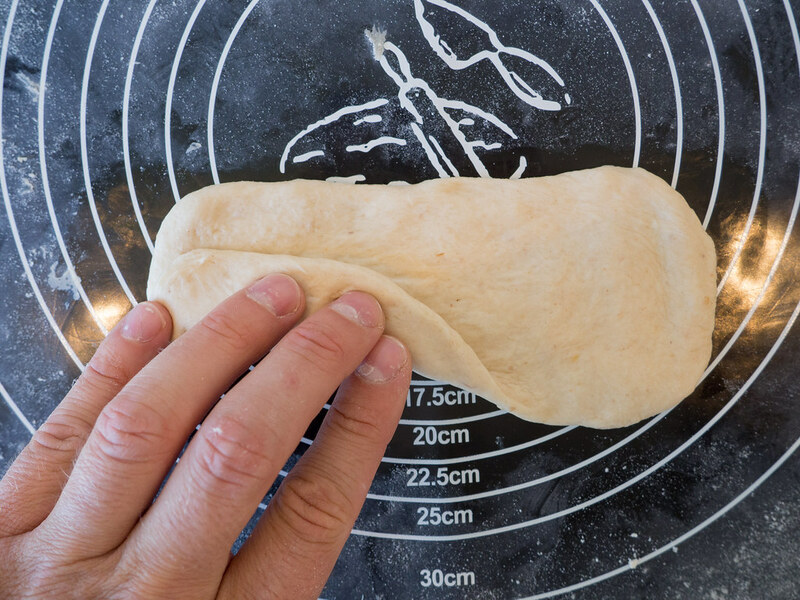 Fold the dough two times on the long side – this folding makes the bread more airy on the inside. 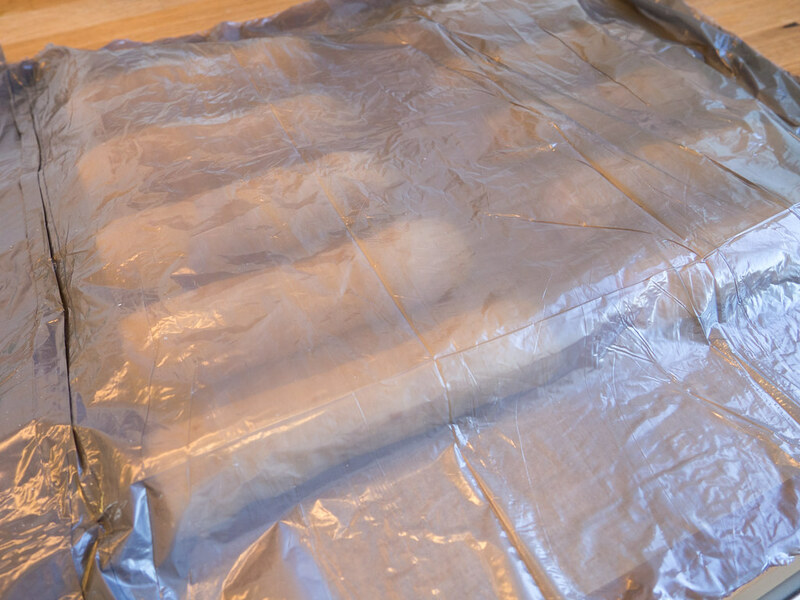 Transfer the bread to a parchment paper covered oven plate. 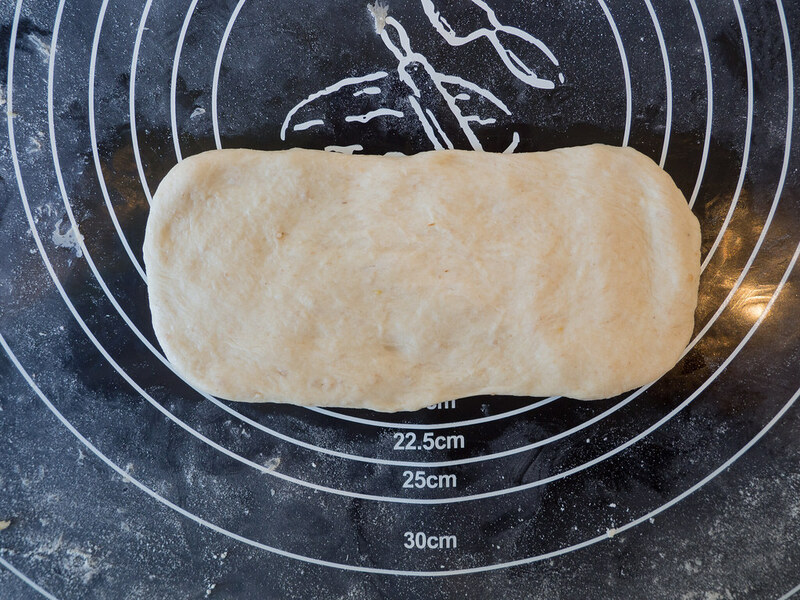 Place the bread side-by-side with a distance in between of about 1 cm (1/3 inch). Set the dough aside one more time and let it rise for about 30 minutes. 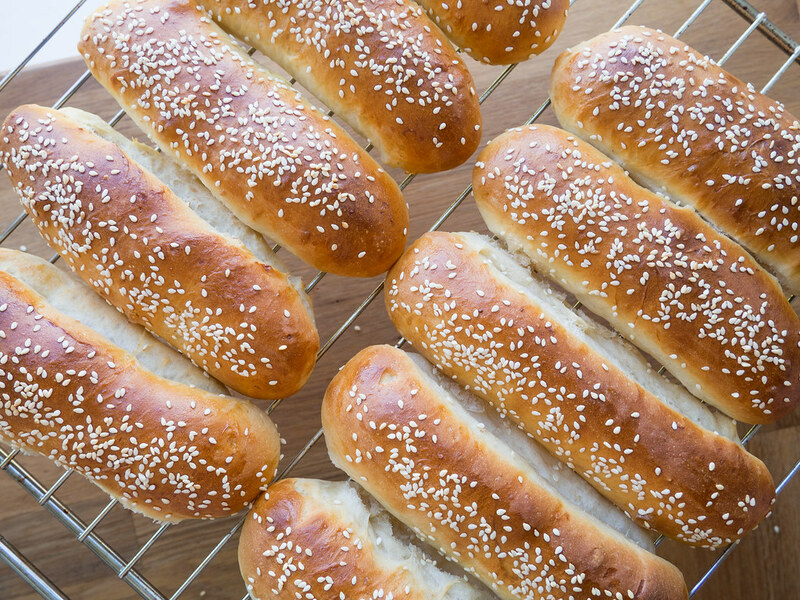 Brush the bread with a beaten egg, sprinkle with sesame seeds and bake them for 10 minutes in a 210 C (410 F) preheated oven. 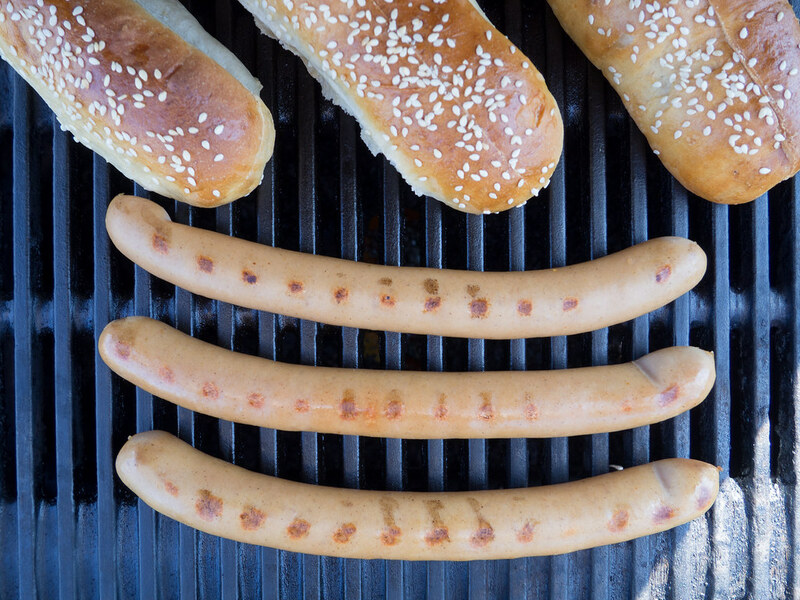 Let the bread cool off a little before serving them with your favorite sausages and other accessories. 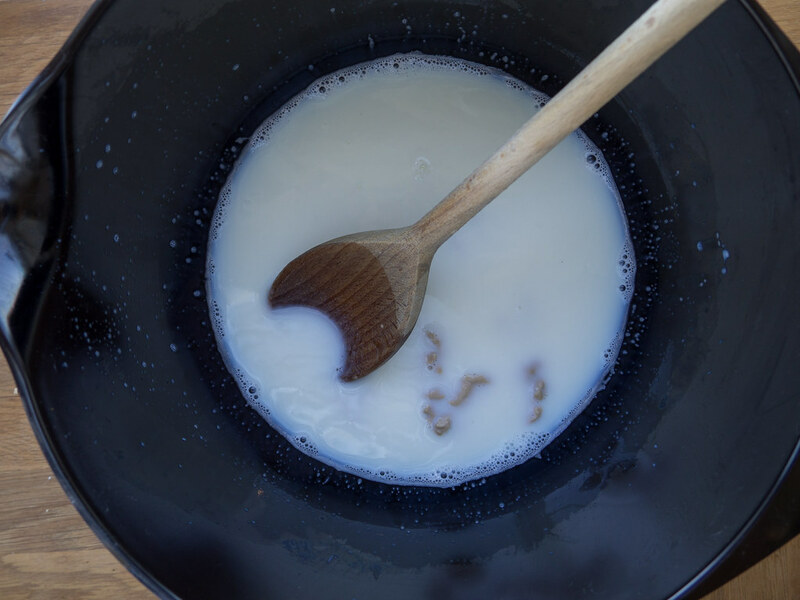 In a large bowl; add the lukewarm milk and dissolve the fresh yeast. 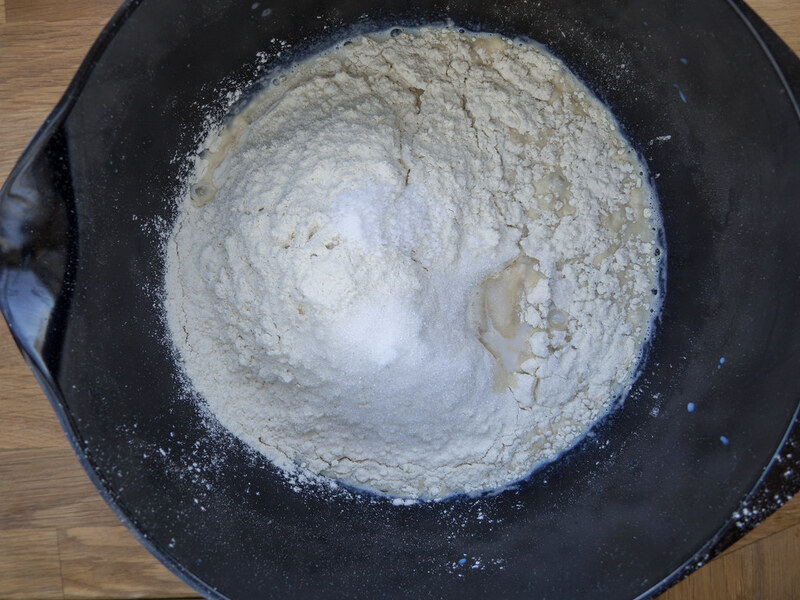 If you are using dry yeast, then skip this step and add the yeast with the flour in the next step. Add the all-purpose flour, sugar and salt. Assemble all the ingredients a little. You can with advantage substitute 1/4 of the flour with some whole-wheat flour. Add the soft butter and then knead the dough for about 5-7 minutes. The dough is a little sticky when done. 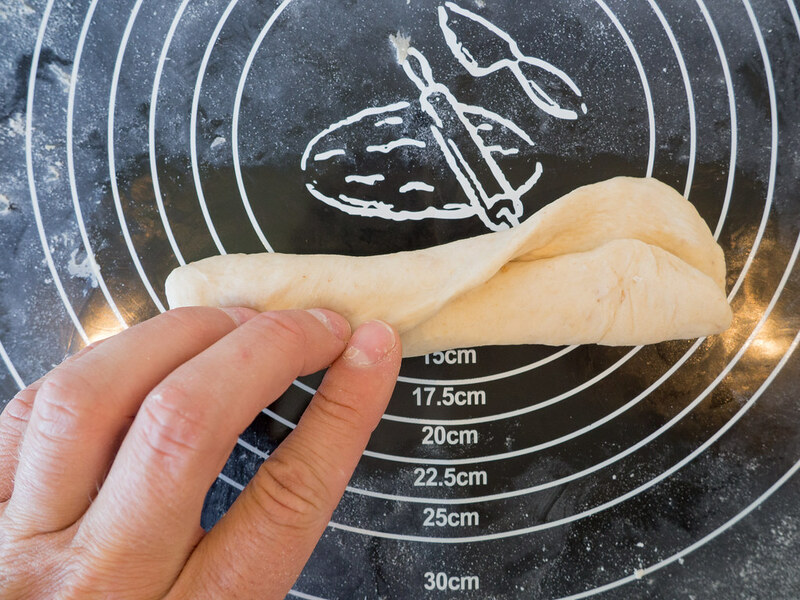 Set the kneaded dough aside for 40 minutes. 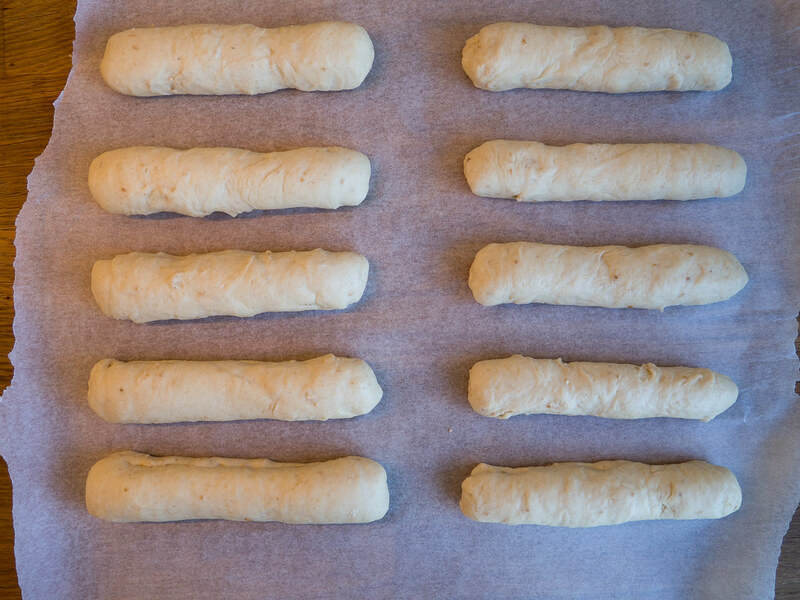 Flatten the dough into rectangular pieces with a length of about 10 cm (4 inch), fold them on the long side two times and finally fold the two ends under the bread. This step will make the hotdog bread more airy. Let the bread rise for another 30 minutes. Gently brush the bread with a beaten egg and sprinkle them with sesame seeds. Bake the bread in a 210 C (410 F) preheated oven for about 10 minutes. The bread should be golden on top when done. Let the bread cool off on an oven grid.